Houseboat living, and any houseboats for sale in Florida? I'm looking at houseboat living in SW Florida, and any houseboats for sale in Florida or surrounding area for liveaboards? I am thinking about selling my houses in CA and AZ and buying a houseboat. 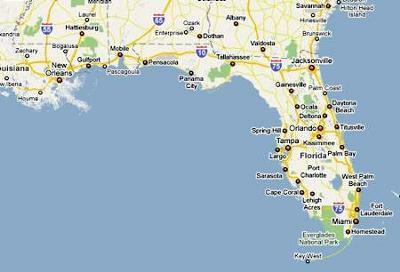 I'd like to live on the SW coast of Florida. Are there any houseboat specific communities or marinas that cater to houseboat live aboard residents in Southwest coast of Florida? Thanks for any help and tips, John. As to any houseboat communities in Florida, I would recommend having a look at our Florida marinas page to get the names and contact information to call and inquire. You might also have a look at used houseboats for sale in Florida, as that may also lead you to a boat that's presently being used as a live aboard. 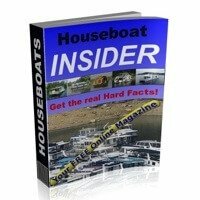 There's likely many houseboaters in Florida reading this that may be able to provide you with some leads and names, as to where to find places that have and allow liveaboards. Lastly, hopefully some of our readers will share and post comments about their Florida houseboat living marinas and experiences. Feel free to use the "Click here to post comments." link found near the bottom of this page. Comments for Houseboat Living in SW Florida, and any houseboats for sale in Florida? I will say that I would like to see pictures of them. I'm 56 years old on disability, and I'm hoping to go to Florida in about 6 or 7 months or maybe sooner. I would like to find a houseboat to rent, or rent to buy. This is the only bucket list and do a lot of fishing. Thank you for your time, and hope there is someone that can help. Lived in South Fl area back in the 80's. My youngest son lives in Ft Lauderdale and my oldest will be moving back to that area soon. I was wondering if any of you know if there are any places North of the Lauderdale area that allow houseboats? I was thinking maybe the Boynton beach area? I currently live in Pensacola Fl but want to be closer to my sons. I have always wanted to live on the water. I am a single woman, as I have seen a couple of comments from singles. 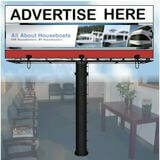 Is there anyone out there that is a live-a-board at the Prosperity Pointe Marina in Fort Myers Fl. or in the Fort Myers area? I am single, living in the Tampa Bay area. My kids are now all grown and out and I would love to live-aboard a houseboat again, I did this when I was very young and loved it, out in John's Pass. 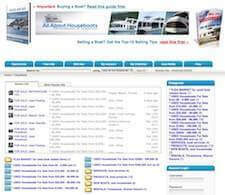 Does anyone have any suggestions as to best way to find Houseboat Rentals, long term? Thanks so much, loving this site and all of the great resources! Hello Anonymous, I just moved to South FL. I am interested in buying a houseboat. Please write if you will have one for sale. Looking for a good older fiberglass hull or aluminum hull houseboat that I can live aboard around Bradenton FL, but don't have a lot of money. I wouldn't mind a good 54' cabin cruiser from 60's 70's 80's models as when I was a young boy I spent time on my grandfathers Chris Craft cabin cruiser. I am dreaming of the day I can live aboard a boat and charter it. It's been my dream for many years and now that I am semi-retired with an option to broker or work from my "screen" part-time...it is time. I go to bed dreaming of (which lasts about 30 seconds) before I know it's "pee-time" (5am)..I know, I'm still lucky. Anyway, I would be happy to correspond and exchange ideas with others on the subject. I have been wanting to do this for the past few years. My only reserve is doing it alone. 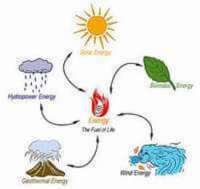 I would be very interested in meeting people with the same dream. Here's to changing our view in life, thanks. There are a few options for liveaboards in Fort Myers and Fort Myers Beach and North Fort Myers area. Most marinas have liveaboard rates with WiFi, pump-outs and laundry available. There are mooring fields at the Fort Myers Yacht Basin and Matanzas Pass in Fort Myers Beach. The option of anchoring is also available. We have been living aboard our houseboat for 3 years now and are so happy we did it. We take advantage of enjoying every sunrise, sunset and our dolphin neighbors and we don't mow grass anymore. It is a lifestyle for those who love the water! Which marina was this at? I might be interested in docking and renting my houseboat out in this area. Still looking for live-aboards for your houseboat? This comment is for John..... My husband and I always dreamed about buying a boat once we retired and traveling sailing from island to island very casually. My husband passed away 6/2000 at the age of 49... there went our dream. Since there is no way in hell I can do it alone, I kinda gave up on the idea until just recently. I just started checking to see if I could rent a houseboat and just leave it docked and live pier-side, better than nothing at all. That's how I came across your ad. You are probably looking for a guy, for a liveabout..... But it sure caught my eye. I live in VA and I'm pretty sure I will be losing my job soon. My thoughts (tentatively) are to rent my home here in VA for a year and check out Florida. Anyways..... hope you are fulfilling your dream and found a cool houseboat. Thanks, Sue. Houseboat living in Florida is great...no property tax and when you move you do not have to pack!!! My husband and I have been living on our houseboat for 4 years now and would never go back to shore. We are currently docked at a very nice marina on the Ortega Rive in Jacksonville. 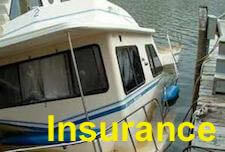 It is safe in this area and being on the ST Johns River allows for affordabe insurance. However, you can access the ditch anytime from the river and the travel is endless. We have traveled the ditch all the way to Port Canaveral on our Classic 64' Lazy Days Sportman staying in marinas or on the hook. Most marinas now are on a don't ask don't tell when it comes to live aboards. 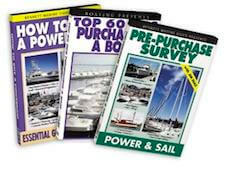 The economy has allowed all boaters even live aboards a varity of marina choices...they need the money! Slip fees have also dropped. We have put an offer on trawler to do the loop next year and our beautiful boat is for sale. She is in perfect condition and set up for salt water use. Have to be careful...houseboats usually do not come with sea strainers and a barrier coat on the bottom these are a must and I would not own a houseboat with out these added features...trust me on this!!!! Good luck in your search! We almost partnered with friends of ours who moved to Cape Coral (Lee County) from the Crystal Coast in NC. We found an older 10 slip marina on the Orange River. The owner was amenable to a long term lease of the marina and I had scheduled a meeting with the Lee County planning board for approval. HOWEVER, my friends got cold feet and they were crucial to it's operating success. The marina had a ramp large enough to accommodate my specially-built trailer and houseboat to dry dock up to a dozen.